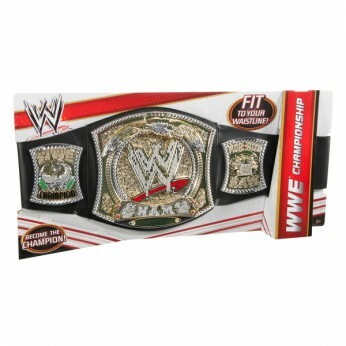 Show off your title with these championships-just like the ones worn by your favourite WWE Superstars! Each leather-like belt has a one- time adjustable waistline to fit kids of all ages. Collect all your favourite Championship titles! Ages 8 and over…. This toy costs approximately £16.99 (for the latest and best prices make sure you check our retailer list for the WWE Championship Basic Belt above). In our review of WWE Championship Basic Belt we classed it as being suitable for ages 4 years, 5 years, 6 years, 7 years, 8 years but recommend you check the manufacturer specific advice before purchasing.